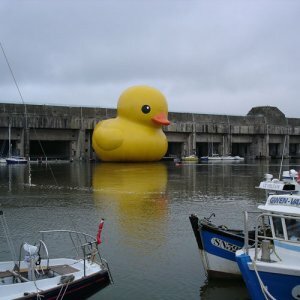 “Yellow spot on the horizon slowly moves toward the shore. 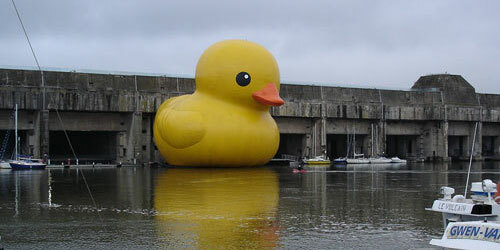 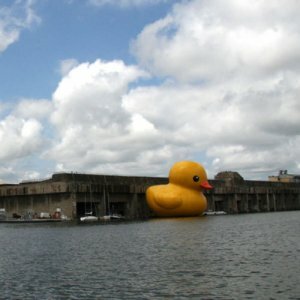 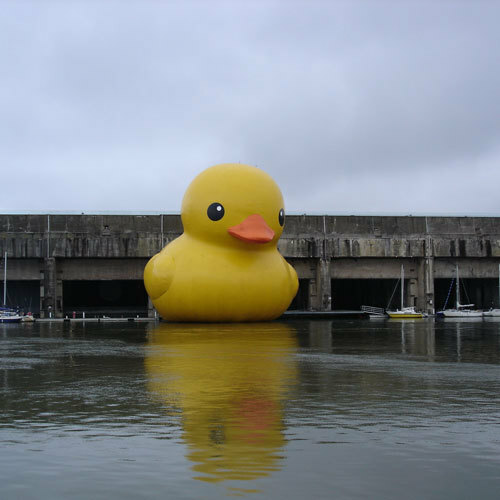 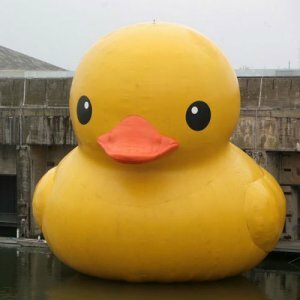 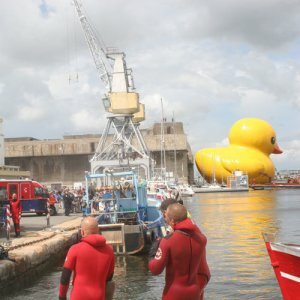 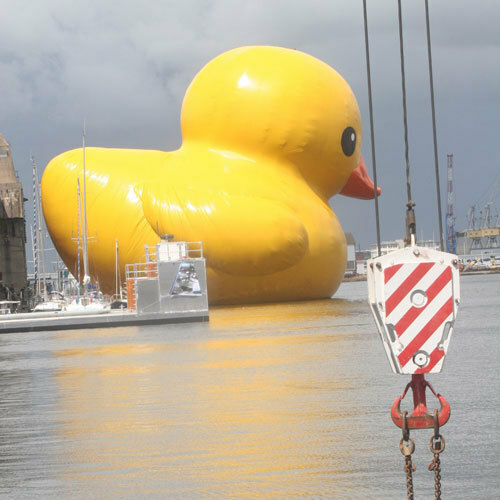 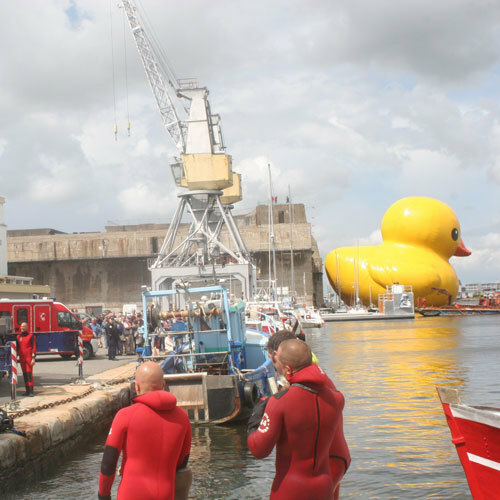 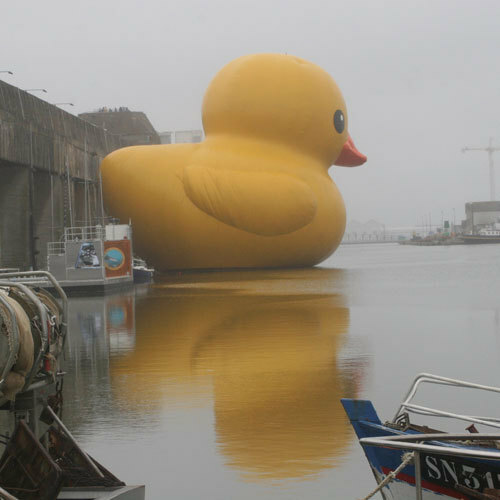 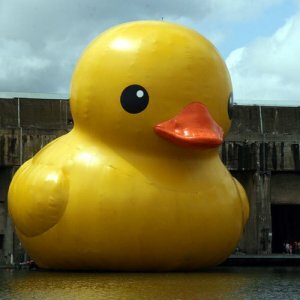 People stare in amazement, because a giant yellow duck is approaching them. 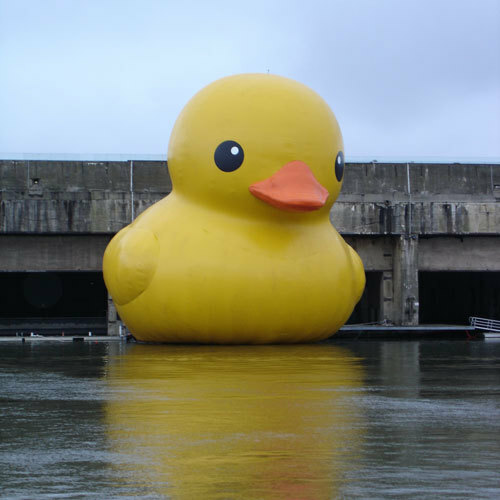 It greets the audience by nodding its head. The Yellow Duck doesn’t acknowledge any borders, doesn’t distinguish people and doesn’t have any political connotation. Friendly swimming Yellow Duck has healing powers: it can help solve international conflicts.” So positive!